UFO SIGHTINGS DAILY: White UFO Shoots Past Chile Air Force Jet Over Chile Almost Hitting It, Feb 10, 2017, Video, UFO Sighting News. White UFO Shoots Past Chile Air Force Jet Over Chile Almost Hitting It, Feb 10, 2017, Video, UFO Sighting News. This UFO was caught near a Chile Air Force plane performing over the city of Puerto Varas last week. UFO and alien drones (AI controlled usually) have a put a high amount of interest upon any technology that can fly. This allows aliens to asses human tech levels. Thus, they can make predictions about humanities future and the events that will unfold. Massive sighting of an unidentified flying object (UFO) in the city of Puerto Varas, Chile, seen from three different angles. 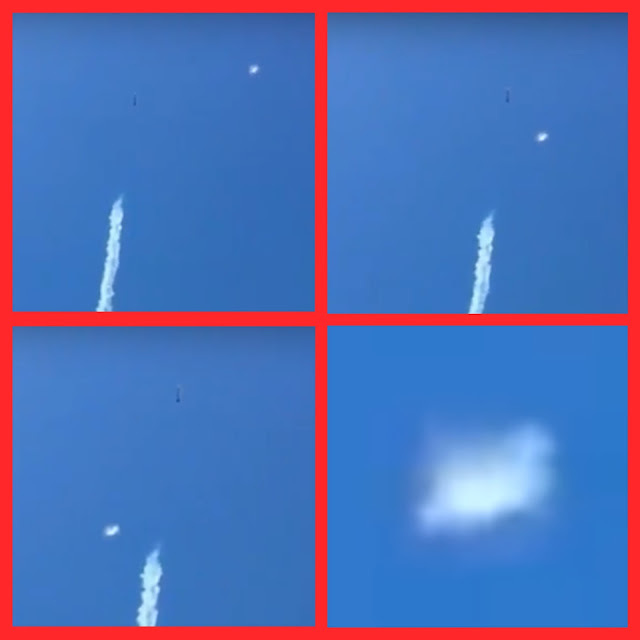 Strange unidentified flying object (UFO), it seems to pass very close to a plane "Halcones Fach" of the Chilean air force, in full flight demonstration held in the city of Puerto Varas, south of the country, last February 10 2017.